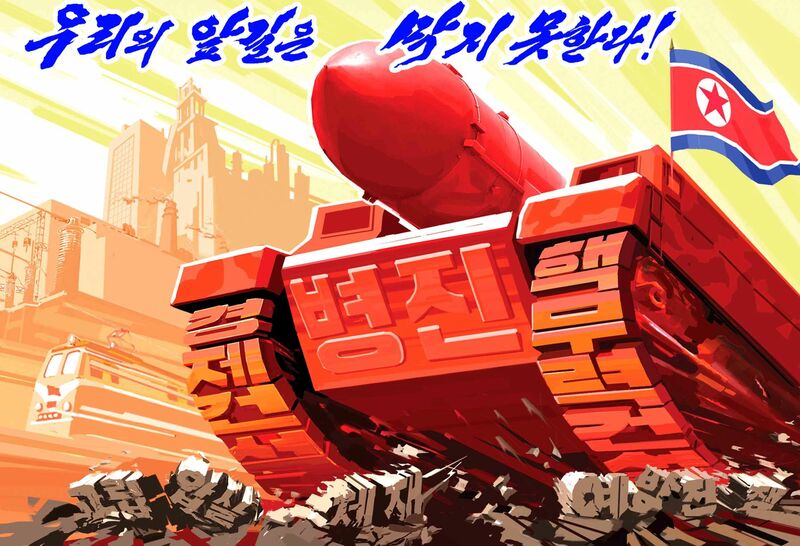 North Korea released a new series of propaganda posters showing its missiles attacking the U.S. as part of an ongoing effort to rally its people against the new round of U.N.-approved sanctions. The six designs published in the state-controlled North Korean media on Thursday included references to the intercontinental ballistic missile (ICBM) tested in two separate occasions in July, which U.S. experts now believe are capable of reaching the U.S. mainland. Earlier this week, North Korean ruler Kim Jong Un inspected plans to launch four ballistic missiles over Japan to hit the waters around the U.S. territory of Guam, but he said he would wait to give the order to strike. President Donald Trump praised Kim’s move as “wise” in a tweet published from his personal account on Wednesday. Despite the apparent de-escalation of tensions, the U.S. Secretary of State Rex Tillerson, Defense Secretary Jim Mattis and other high-ranking Pentagon officials have all confirmed this week that the military option in dealing with threats from North Korea remains on the table. “I can just assure you that in close collaboration with our allies, there are strong military consequences if DPRK initiates hostilities,” Mattis said at a press conference in Washington on Thursday, referring to North Korea by its official name, Democratic People’s Republic of Korea (DPRK). 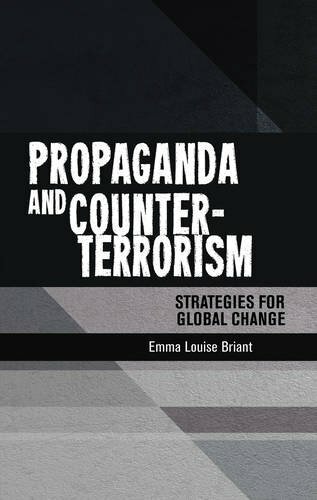 Attacks against the U.S. have been the staple of North Korean propaganda for decades. 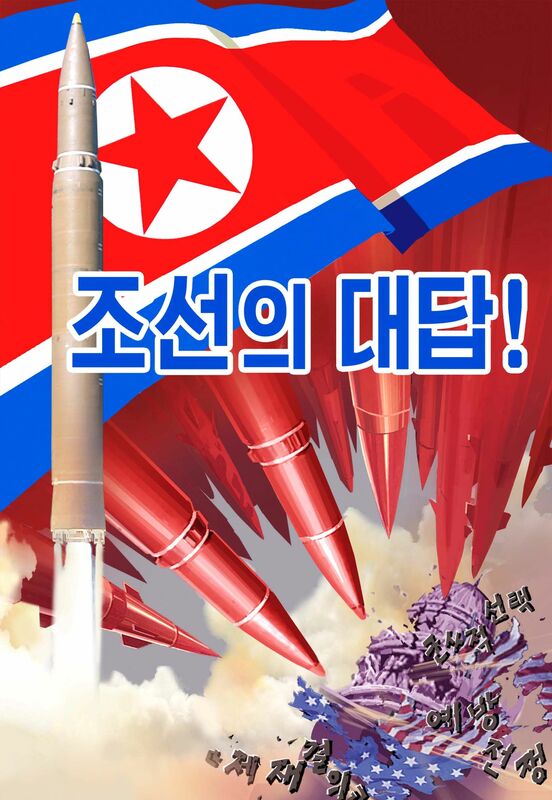 Most recently, scenes were depicted in a series of stamps released after the ICBM test launch on July 4, and in propaganda videos broadcasted by the state-controlled Korean Central Television. Most of North Korea’s propaganda material comes from the state-run Mansudae Art Studio, which is claims to be one of the world’s largest centers of art production, employing around 1,000 artists. The studio was hit by U.N. sanctions in November, which included a paragraph banning North Korea from exporting statues and monuments.